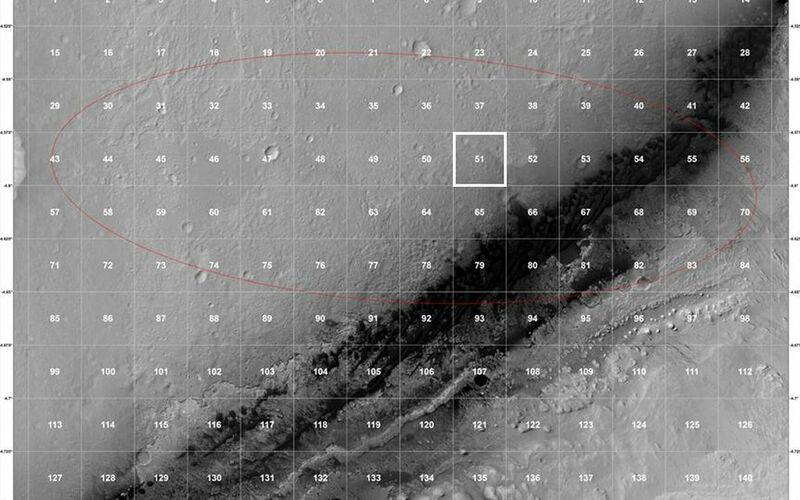 The geological context for the landing site of NASA's Curiosity rover is visible in this image mosaic obtained by the High-Resolution Imaging Science Experiment (HiRISE) camera on NASA's Mars Reconnaissance Orbiter. The area around the landing site has been divided into square areas of interest about .9-mile (1.5-kilometers) wide. 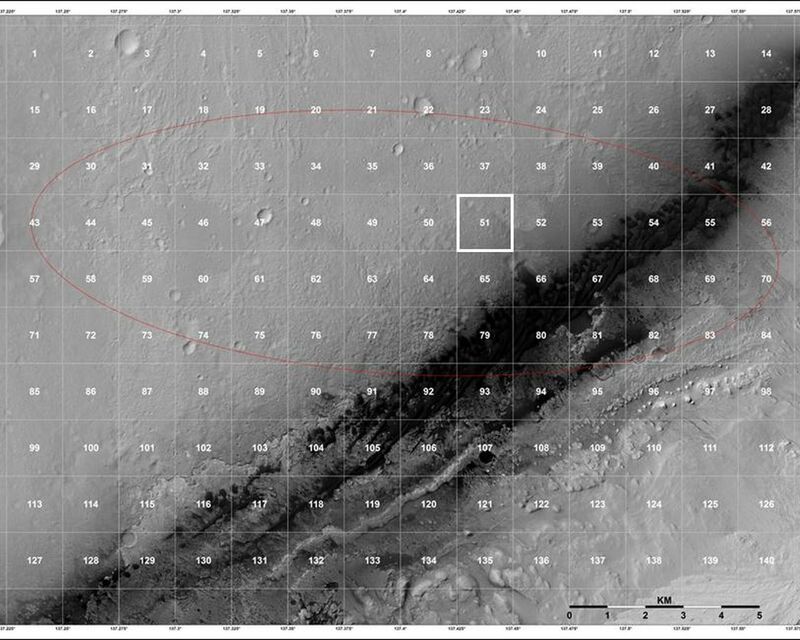 The mission has divided the surface into those quadrangles, or quads, so that groups of team members can focus their analysis on a particular part of the surface. Mt. Sharp is to the bottom right, out of the picture. Curiosity landed in the quad called Yellowknife (number 51), a city in northwestern Canada as well as group of rocks from the same region. The rocks were formed 2.7 billion years ago from both volcanoes and sediments laid down by water, and were deposited over 4-billion-year-old rocks, the oldest known on Earth. 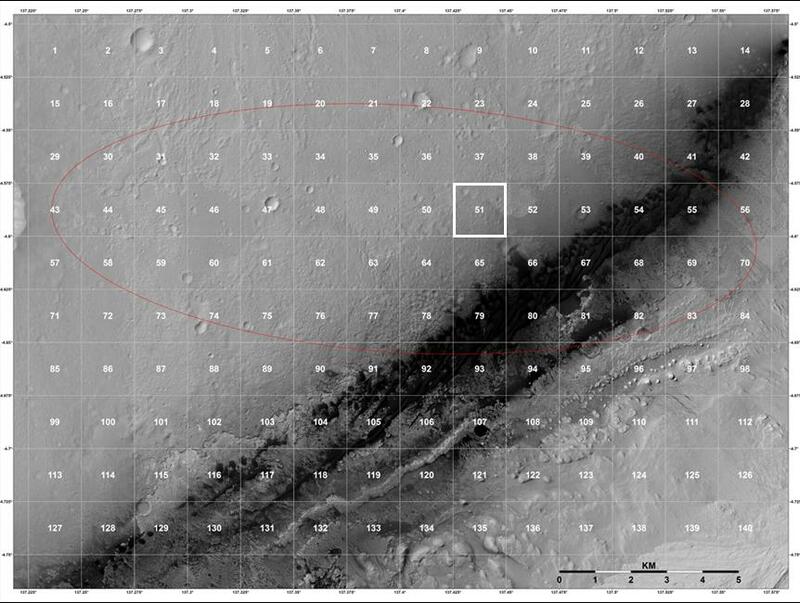 The red line shows the region known as the landing ellipse.